Click here to see more usage in first 2 years since corrupt BC Sec.177 law was invented by corrupt BC legislators for their cronies to use on under-age children & care-givers in almost complete secrecy. 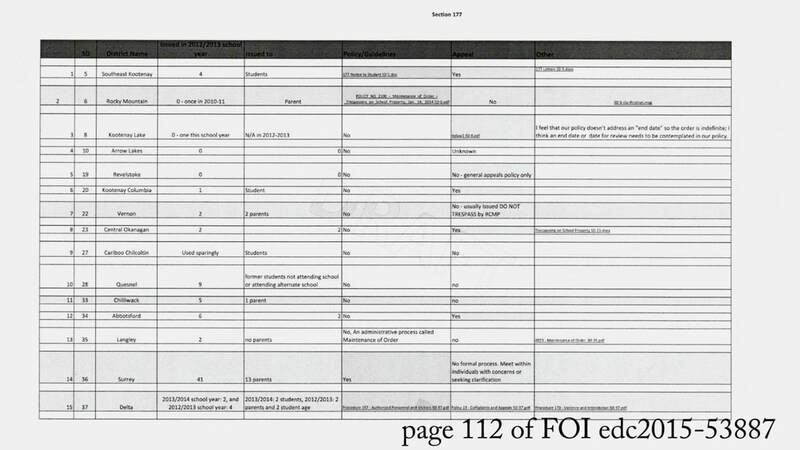 These FOI documents wrestled from the BC Ministry of Education are only 2012/2013 usage of BC Sec.177 law. How many more times corrupt BC Section 177 law has been deployed is now a highly guarded BC government secret being aggressively hidden by the powerful private law firm of Harris Law which is being paid by the highly corrupt/secretive BC Ministry of Education with public tax money. 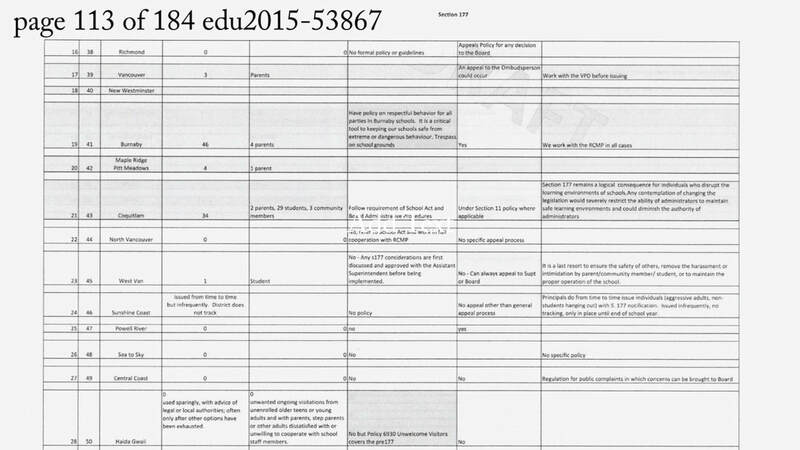 Even the amount paid to Harris Law by school boards is a highly guarded secret. Another website with evidence of Sec177 usage on children & care-givers click here to view.